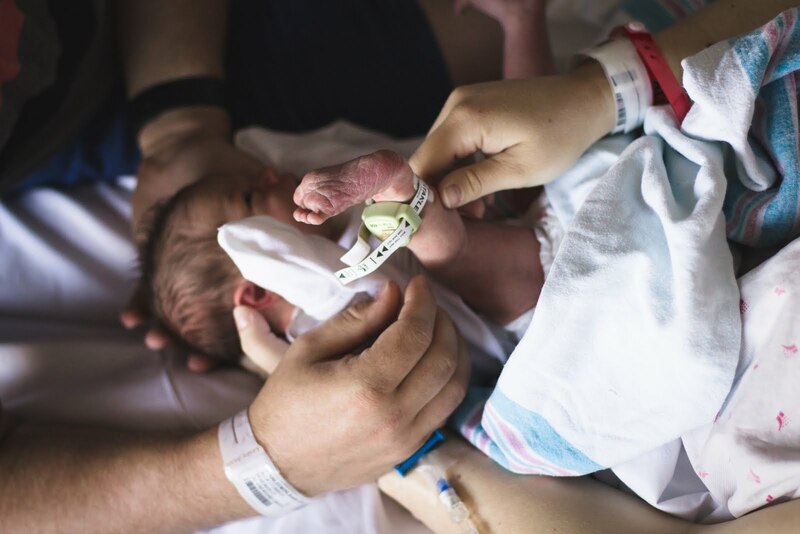 Here is why I didn't post yesterday and why you should be excited for the next couple of weeks! 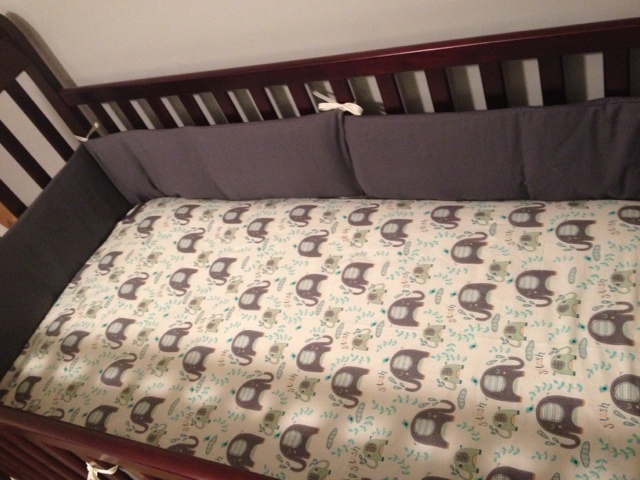 I have made for you a tutorial to make your very own customized crib set. You're welcome! 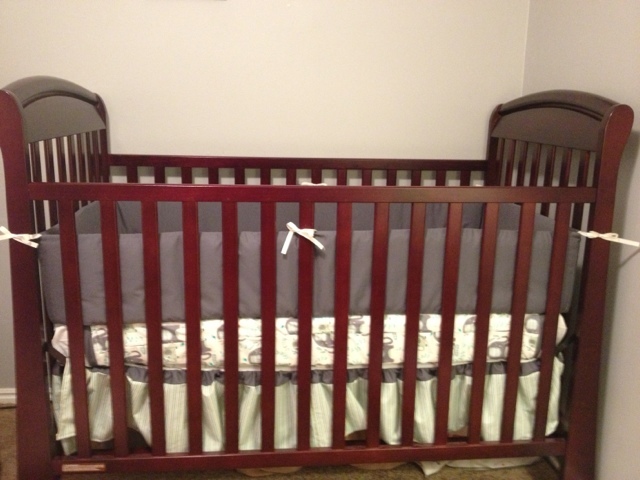 I'll be posting one part of the crib set every week for the next couple of weeks. I'll start out with the sheet, because it's the least complicated! *Here are the tutorials for the skirt and the bumperpads. 1. Measure your crib mattress. Height, width, and length. It will probably be 52x6x27" because that's one of the standard sizes of mattresses. Now it's time for some math. Add your height and double your width. Add 3" for seam allowance and "hugging allowance" (68" approx.). Add your length and double your width. 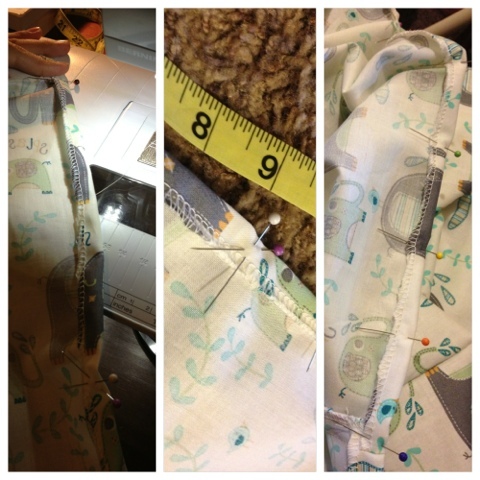 Add 3" for seam allowance and "hugging allowance" approx. 44"
2. Now cut out your material to be those dimensions (68x44). You won't have to cut to the 44 because your fabric should already be there. By-the-way, the measuring tape is just for show in my pictures. DO NOT FOLLOW THOSE MEASUREMENTS! Trust me. You'll kick yourself if you do. 3. 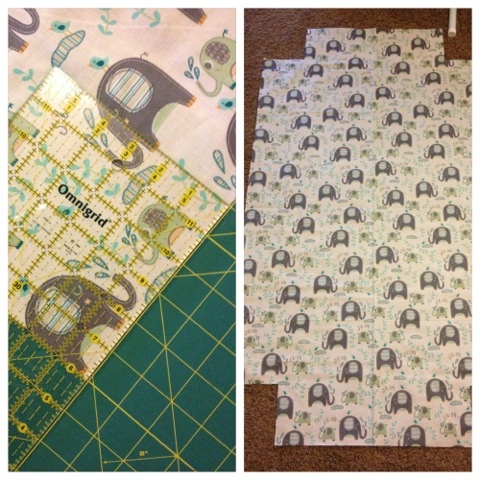 Next, you're going to cut squares out of the corners of your very large sheet! Cut your squares at 8.5 x 8.5". 4. 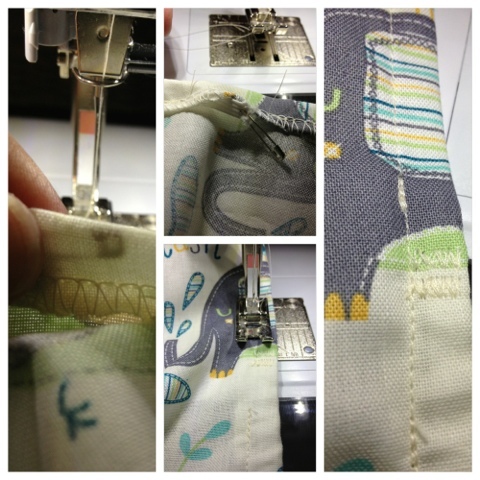 Now, either serge the sides of the sheet, find a friend with a serger and make them do it (ask nicely! ), or zig-zag them. 5. 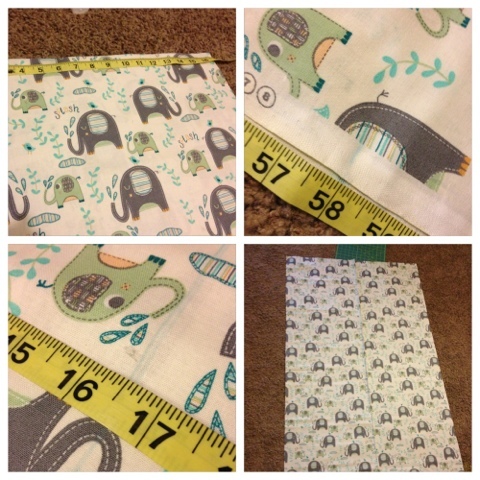 Now you're going to take the sides of the material where you cut out the squares, put them right sides together, and straight stitch as well as zig-zag them. Now your sheet is beginning to take form! 6. 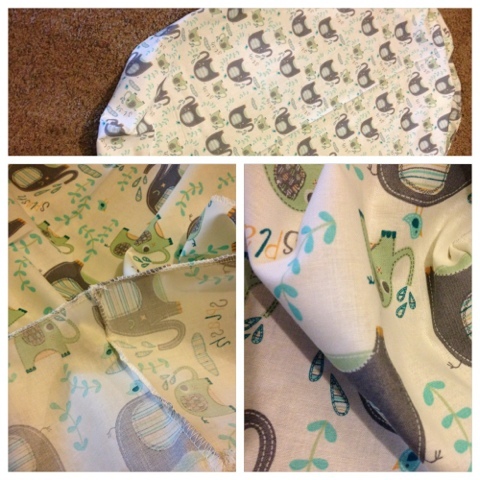 Now you're going to do the hem/casing! 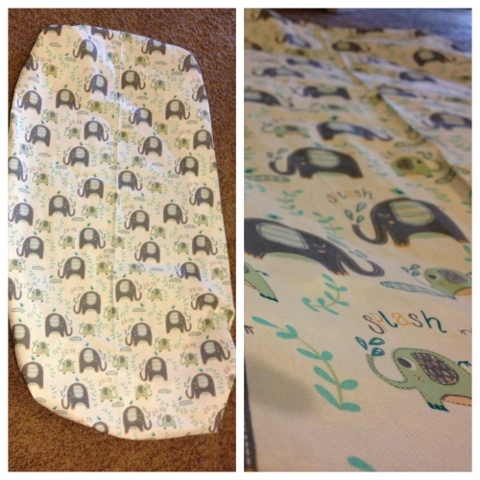 Fold the edges of your sheet up 1/2 inch and pin. Measure 9" from your "square stitch" ( where you stitched the square edges together) on the long side of the sheet (not the short!) and place some sort of mark. I used two pins to mark it. 7. 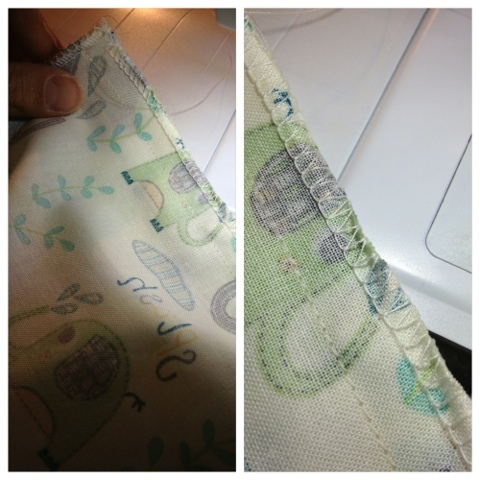 Straight stitch around the entire sheet at 3/8 an inch. When you reach your marks, leave a 1" gap. That's where you're going to slip in and out your elastic. It's the casing. 8. Cut two pieces of elastic, each 20". Attach a safety pin to one end of the elastic and slip it through one of the openings you left when you hemmed (the casing). The safety pin makes it MUCH easier to slip the elastic through. When the un-safety pinned edge reaches the mark you made at 9", zig zag stitch it twice for reinforcement. 9. Continue pulling the elastic through until you get to the other end. 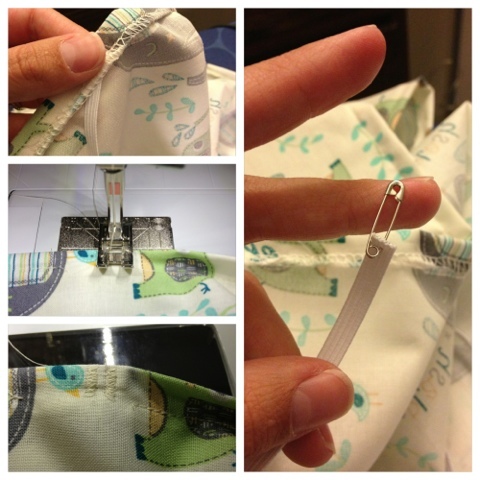 Remove the safety pin and zig-zag stitch the elastic in place. Now just do the other side and close the gaps! **If you're going to wrap elastic all the way around the sheet, just start and finish at the same spot and pull the elastic through. Start with two yards of elastic and if it looks too loose, pull the elastic tighter until it's the right fit and sew both ends together before sewing the casing closed. And there you have it! Next week, I'll post the tutorial for the bumper pads! I'll see you then! Awesome! I am always looking to make things I could buy, but honestly, I've never thought of making a crib sheet. I can't wait to make one. 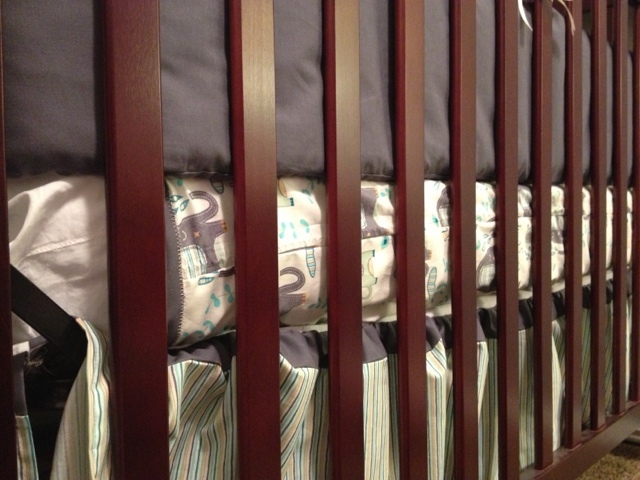 Wow - it's really cool that you figured out how to make your own crib set. Wow, I am so impressed. Great job! I can only hope to sew that well someday. Please feel free to start here! 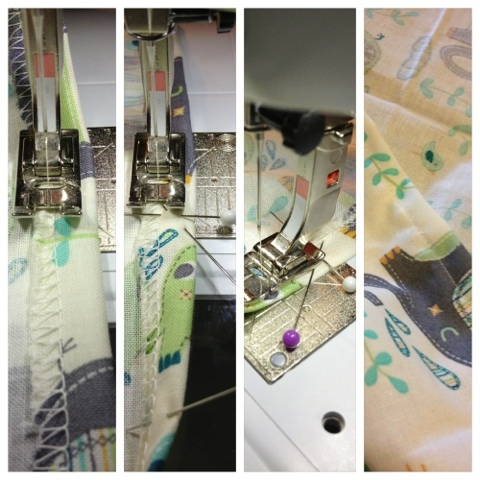 I love to sew and I hope that my tutorials are clear and inspiring to help you begin! This ended up turning out so cute! Love it! Did you pre-wash your fabric before you began this process? Absolutely! Most fabrics are prone to shrink when you wash them, so make sure you pre wash! Thanks for asking and good luck on yours! !